In June, 2014 our Company "SibTechProject" LLC entered into contract on design engineering project. 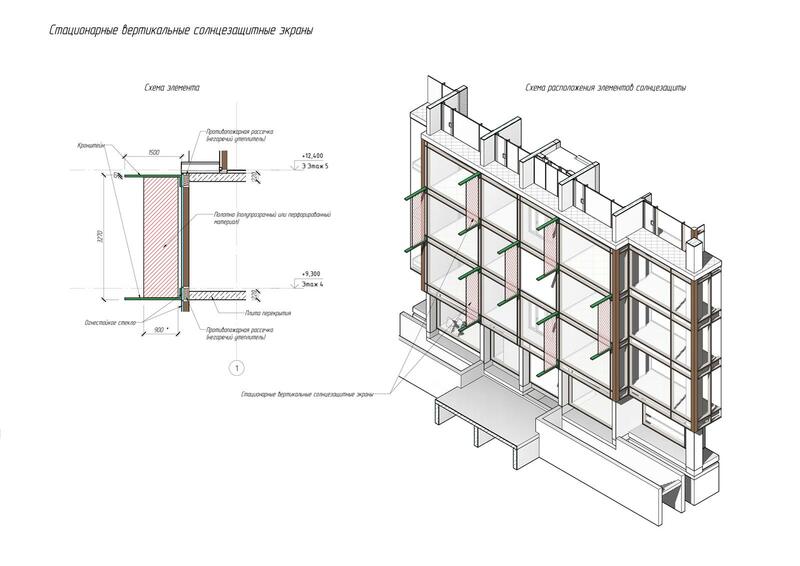 At first everything seemed to clear and understandable: the project target was to design a 17-storey residential building with underground parking in Novosibirsk. 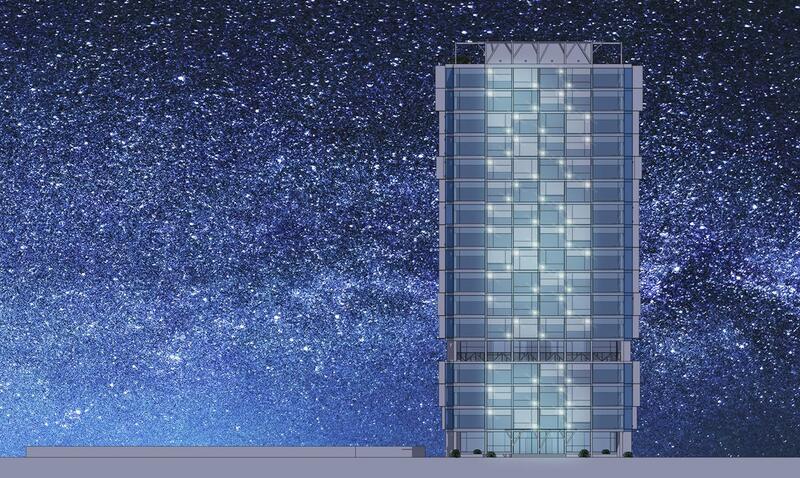 However, the ingenuity of the project was that the building facade should be only of glass- floor-to-ceiling glazing. As a result of updated technology today glass is considered to be a usual attribute of High-Tech:you can find administrative buildings, business centers, shopping malls with glass curtain wall facades, but there is not one such building in Siberia. The Client saw a room with a glassed wall on the pages of IKEA catalog and this inspired him. There was one problem that not one project company had constructed such facades for residential houses up to now. It was difficult to estimate the cost of such a project. The Client mentioned that the windows should not open. In this case we had to consider the introduction of high-technological air-conditioning systems (climate environment system). 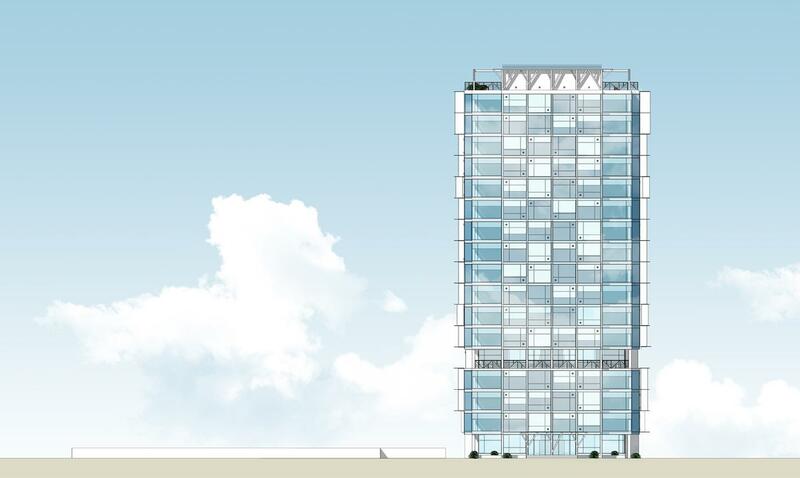 The apartments could be comparable to only apartments of 5-star hotels. There was one fundamental question: per-square-meter price. 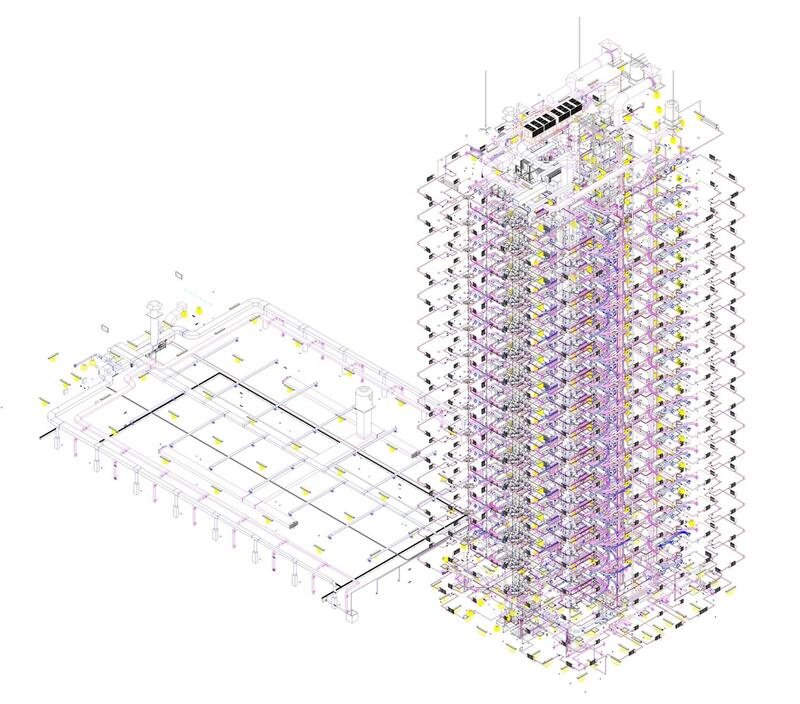 Our Company had been applying BIM technology (Building Information Modelling) since 2010. This technology helps the design-engineer to understand and feel the object, as well as select appropriate materials and details used in the model and receive lists and specifications much earlier than the project documentation itself. 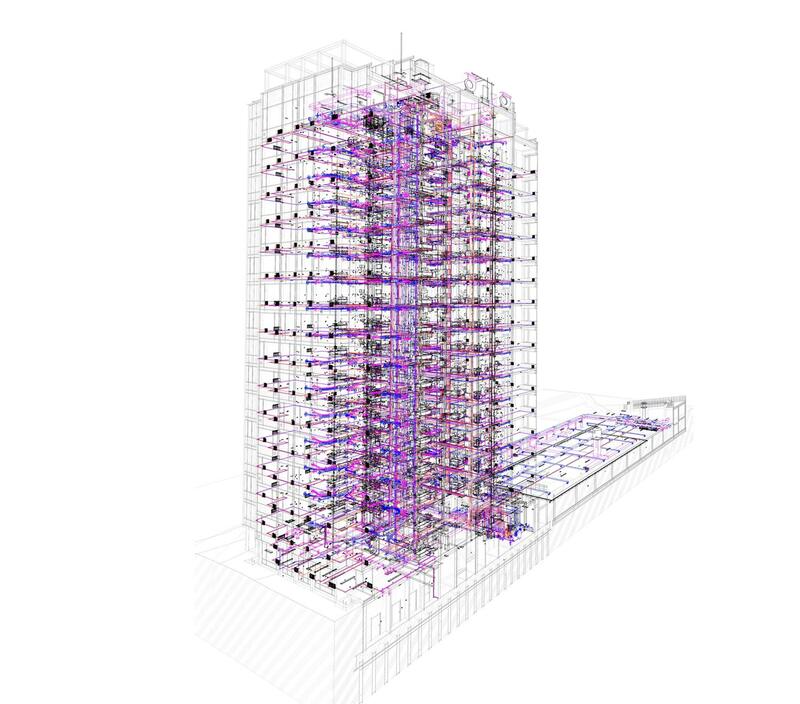 It is understood that applying BIM-technology, the design engineer has to make a model, then, in accordance with RF Regulation 87, elaborate the draft design into conceptual design. The basic architectural concept could be described as “a house of glass.” The project included visually a very light building due to the application of modern curtain glass wall. This should be a crystal reflecting the sky in day and at night and not destroying the atmosphere of the massiveness and vastness surrounding man. The exterior wall envelope was to be hinged transparent facade system (HTFS) – system of a metal frame, anchoring elements and transparent infilling. To provide a comfortable micro-climate inside sunshading, i.e. 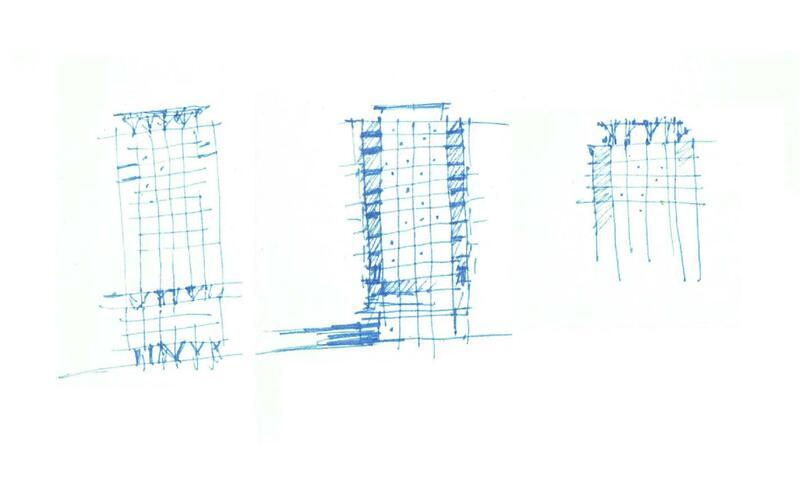 vertical stationary cells located at 90° to the facade surface, was designed. Engineering communications were planned as following: all communications are gathered in one “bundle” and are located parallel to the residential house communications, which, in its turn, provides optimal usage of inner building space. This residential house intake and extract ventilation system with mechanical activation of heating and air conditioning. Air-cooled liquid chiller will be used in summer and off-season to supply cold water. Floor heat convectors and air conditioning through ductable fan coil units would provide comfort during winter months. Completed and re-planned model in the contract document phase we handed to the Client the album of documentation for further agreement in Government Expertise Agency in Moscow . Moreover, this was the first Russian project, completed in BIM technology, to be evaluated in Moscow government expertise agency. All preliminary arrangements with Mosstateexpertise were settled. The Client asked for the technical specifications and work scope to determine the costs. We «meet halfway” and agreed. The Client calculated the per-square-meter price and understood that it was unprofitable. So, the project was put aside due to circumstances beyond our control. However, our project was the first and only one in Siberia up to now.. This building is a creation of unusual atmosphere, a feeling of lightness and penetrating warmth and light. The residents of such a house would get new impressions i.e. perception of space as all the rooms are full of light they visually expand. There is a feeling that the wall boundary between the house and the surrounding city disappears. Through the transparent wall you can observe the city life. To feel comfort and privacy there are installed window blinds. Residential house 'KrimSky” is not a typical “faceless skyscaper” with large windows, it is a unique structure opening up the everyday boundaries to create the unusual illusion- you are at home but at the same time you are interrelated with the city life. 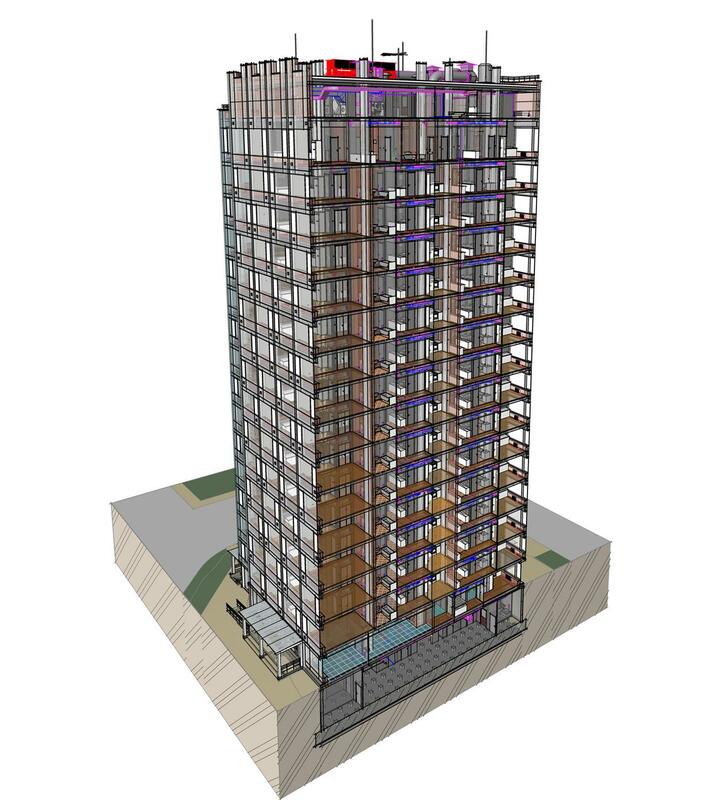 This project won second place in the innovation project contest Autodesk Innovation Awards Russia 2015, in the nomination “BIM-technology application in real estate development” This proved that it is important not only to develop “breathtaking” project concepts, but also how to apply information technology to implement this project into reality.